Now the legacy of this historic moment will be put on display and preserved for future generations in The Birthplace of Country Music Museum set to open its doors this weekend in downtown Bristol. The 24,000 square foot facility is an affiliate of The Smithsonian, and will include 12,000 square feet of exhibit space, a rotating exhibit gallery, music mixing and listening stations, multiple theater experiences, and interactive, technology-infused media. They’ve even applied for a low-powered radio station to be based out of the museum. The Birthplace of Country Music Museum also plans to host year-round music events and educational programming to promote and preserve Ralph Peer’s work and the role of Bristol in the formation of country music. This weekend the museum has many events scheduled to coincide with the grand opening. On Friday the museum is open for 1/2 price admission with a live concert commencing at 6 PM. Then on Saturday the Grand Opening Event Ceremony happens at 1:00 PM, and then Ralph Stanley, Carlene Carter, Jim Lauderdale, and The Whistles & The Bells are all set to perform. Then on Sunday NPR’s Mountain Stage will be happening at the Paramount Center for the Arts in Bristol as part of the grand opening festivities. It all coincides with the same time of year that Ralph Peer and country’s founders did their work in late July and early August of 1927. Before The Birthplace of Country Music even opens its doors, they’ve already held an “Educator’s Day” to help integrate with the local education community, proving that education and preservation are the centerpiece of the museum’s mission. The museum is being organized by the same people that organize the annual Bristol Rhythm & Roots Reunion Music Festival every third weekend in September that sees 50,000 attendees drawn to the area. The museum is also working on a new album called Orthophonic Joy: The 1927 Bristol Sessions Revisited that will see a reinterpretation of the Bristol Session classics by artists like Marty Stuart, Dolly Parton, Vince Gill, Emmylou Harris, Ashley Monroe, Steve Martin, The Church Sisters, Doyle Lawson, and more. It is produced by Carl Jackson and will be released in October. 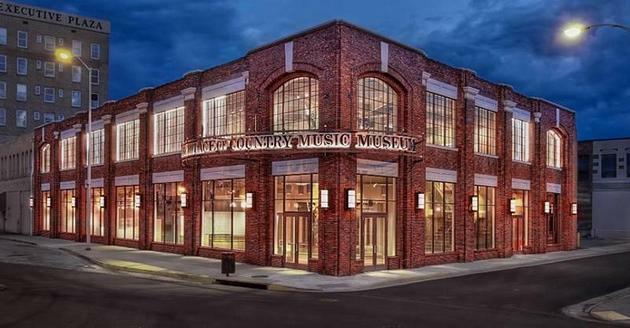 With strong community support and an excellent idea, The Birthplace of Country Music museum looks to become a cornerstone of country music history, and a must-see destination for any serious country music fan. That’s exciting. I love seeing classic country getting its due. And the album should be fantastic and I’m excited about it. I’ve never heard the Church Sisters before, but they’re phenomenal, with wonderful harmonies. And the museum is just another place I’ll have to visit if I can ever afford a vacation. Looks like a great place to spend a long weekend. Bristol Rhythm & Roots Reunion is a great (this year’s acts include Dale Watson, Sturgill Simpson, Billy Joe Shaver, Emmylou, Ray Wylie Hubbard) well-run festival. If the museum is being organized by the same people, it ought to be great as well. I just checked the Church Sisters web site and see that they are playing the Bristol Rhythm & Roots Reunion, too. The Church Sisters are amazing. I think the only reason they don’t get more credit is because their music veers so much towards the religions crowd instead of the secular crowd. But they are astounding and deserve as much attention as First Aid Kit, The Secret Sisters, etc. From my observations, it seems like Appalachia produces the greatest female country vocalists. Whether we are talking about Loretta Lynn, Patty Loveless, Crystal Gayle, Dolly Parton, Kathy Mattea, Ashley Monroe, or the Church Sisters, Appalachian female singers possess the perfect combination of intensity and emotion in their voices. I have lived in the Tri-Cities area all my life and actually just moved to the Bristol part a few months ago. I saw this building being worked on and it got me pretty excited. I can’t wait to check it out and see what all it has to offer. I’ve been to the Country Music Hall of Fame and have kind of been thinking it may be like a smaller version of it only with an even stronger focus on the roots of the music. It sounds like some great acts are lined up too, so I have a feeling I will be frequenting this place! Thanks for the review Trigger!